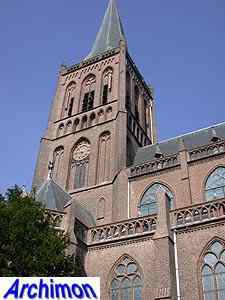 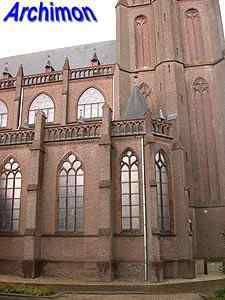 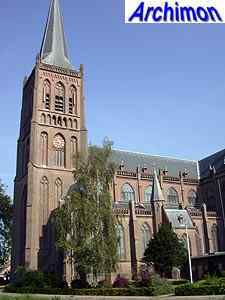 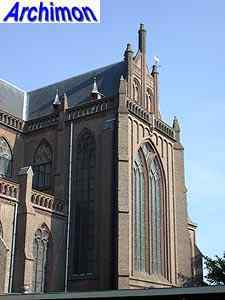 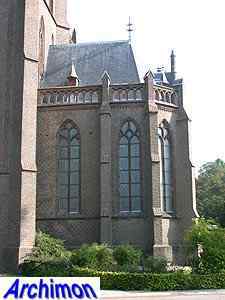 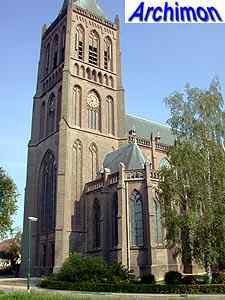 The St. Michaël in Schalkwijk is the Roman Catholic successor of the medieval church elsewhere in the village, which remained protestant possession after freedom of religion was declared. 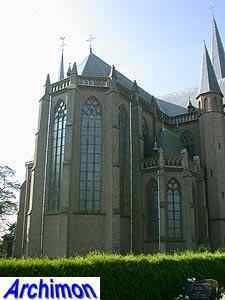 The new church was built at some distance from the old one and around it a new village centre grew. 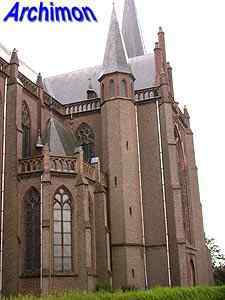 The St. Michaël is one of the highlights in the career of architect Alfred Tepe. 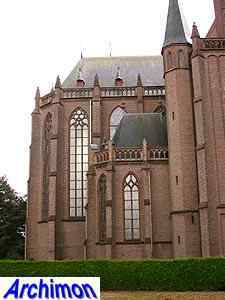 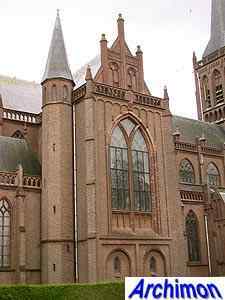 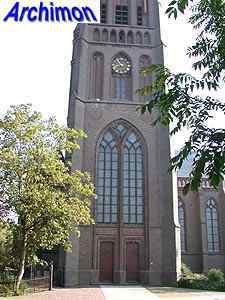 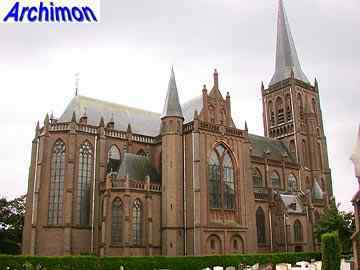 It's a big three-aisled cruciform basilican church, in a neo-Gothic style that owes much to Lower Rhine Gothicism, like most of Tepes churches. 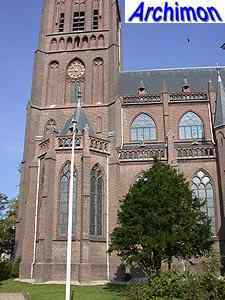 Few of Tepes churches are so richly decorated with ornaments as this one, with niches, balustrades and pinacles. 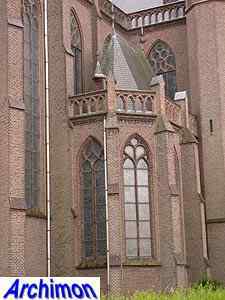 The transept is much richer in detail than usual for Tepe, and shows influences of Northern German Gothicism. 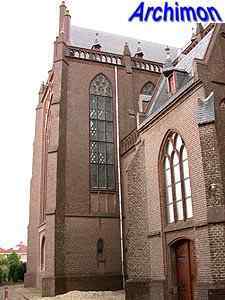 The tower is decorated with blind niches; the tribune-like niches in the third segment of the tower were inspired by those of the reformed church in Houten. 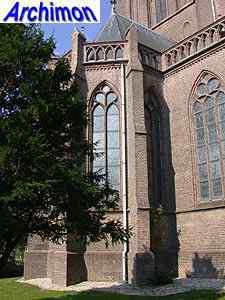 On the south side of the choir is an octagonal sacristy with a wooden turret on the roof. 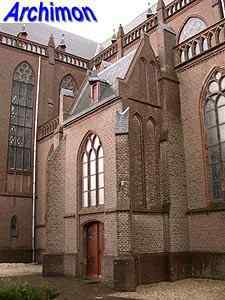 On the north side the side-aisle has a polygonal closure, on the south side there's a polygonal chapel in front of it. 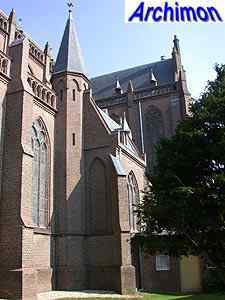 On both sides of the nave small spaces stand next to the side-aisles. 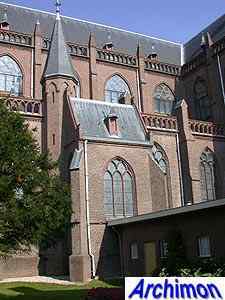 The one on the south side has an octagonal stair-turret.